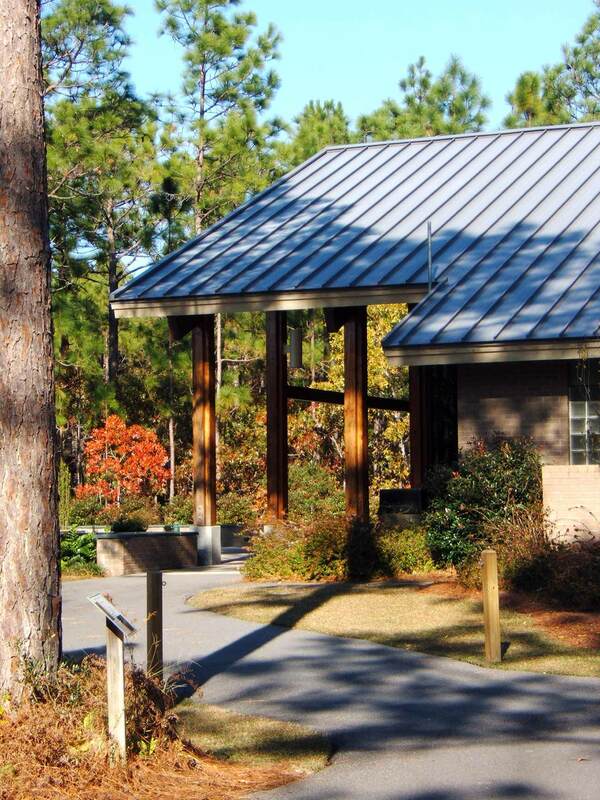 Provide an event center and picnic shelter so park patrons can appreciate and understand the Carolina Bay and Pocosin environments on the site. 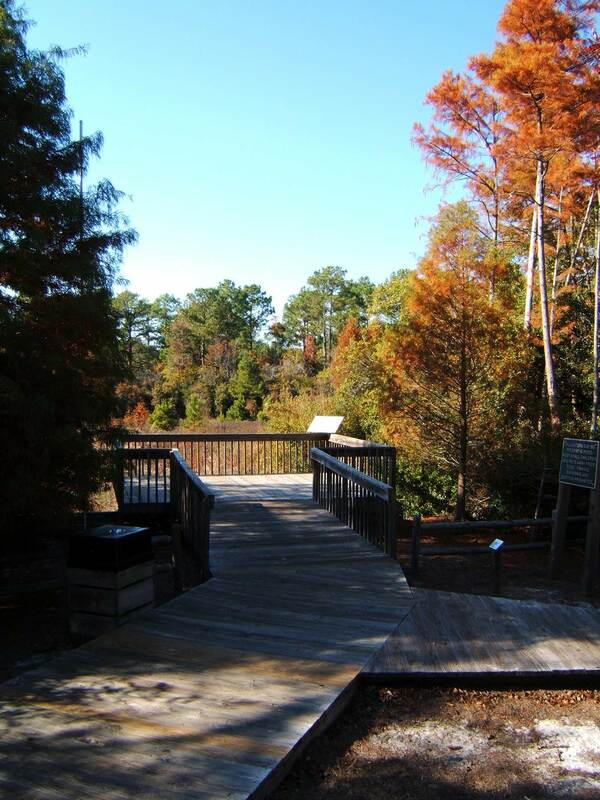 The park plan was carefully developed by Kimley Horn and Associates, and locates vehicle parking, playgrounds, park shelters, and the event center near the park entrance, preserving most of the 57-acre park for trails and passive activity. 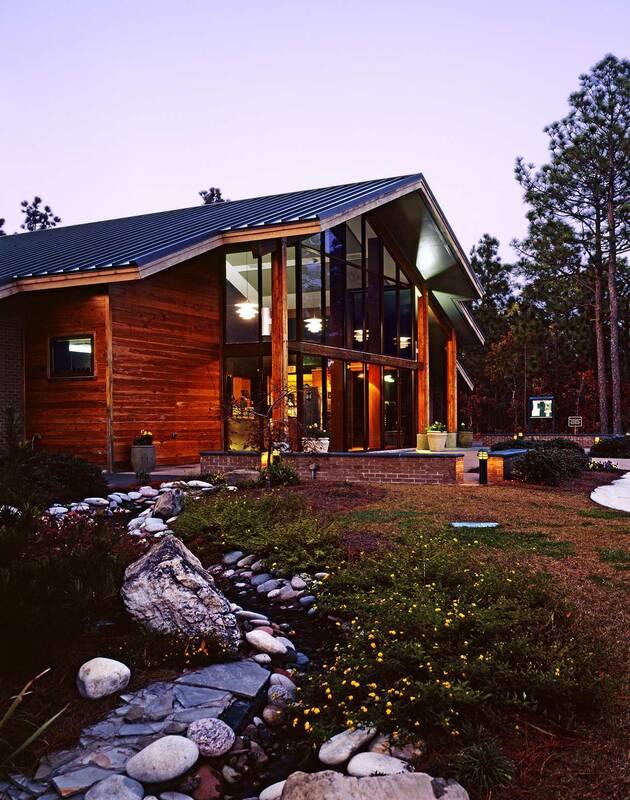 Our building design uses wood roof structures, masonry walls, natural stone, and wood floors. The wood columns supporting much of the event center roof are detailed and built of timber milled from old-growth logs salvaged from the Cape Fear River. The buildings nestle into the park, and are open to natural light, views of the park, and outdoor terrace space. Lower Cape Fear Stewardship Development Coalition, 2006 Development Awards, Outstanding Stewardship.